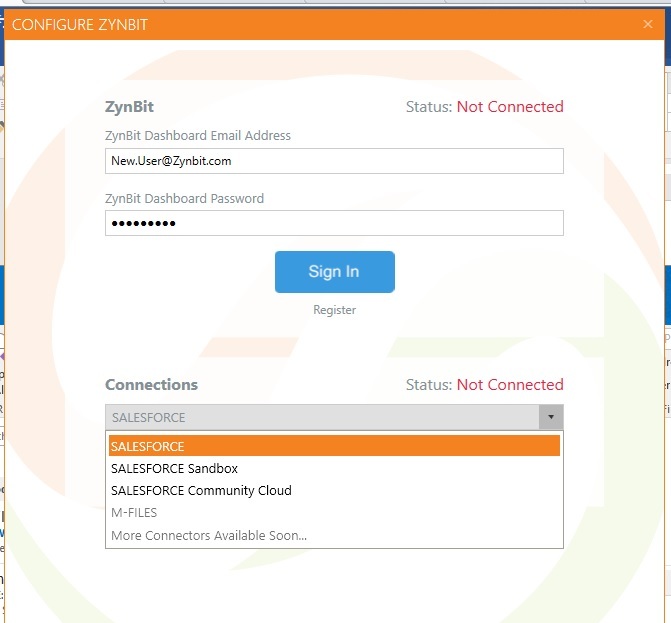 If you are using the desktop plugin, you can connect to a Salesforce Sandbox by using the Configure item in the ZynBit area of the Tool bar at the top right side of your email screen. As you connect to each source, you will see the Status change to Connected and the dialogue box will change to “Disconnect”. If you decide to connect to your Salesforce Sandbox later, Check the Disconnect button below the Connections line. Then choose the Salesforce Sandbox and enter the correct credentials. Later, you can disconnect from the Sandbox and reconnect to production. 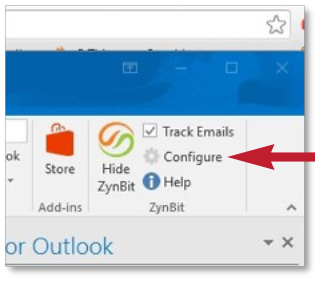 If you are using Gmail or OWA, open the gear icon on the far left side of the ZynBit icon tray. Disconnect from Salesforce and when you reconnect, select the Sandbox Button and enter your credentials there.